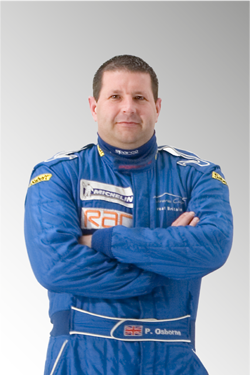 Team O was created 15 years ago as a marketing platform using motorsport as the medium. We have successfully created what we term as marketing partnerships using traditional and digital media to engage consumers. We study the objectives of our partners and turn these into workable solutions. In 2005/06/07 Team O identified the British Touring Car Championship as a prime platform to promote Innovate Logistics to potential customers. The team decided on the Porsche Carrera Cup Series because of its prestige and impact to customer response. This decision was the correct one as it created a unique sales platform for the high value customers who were targeted and invited to race weekends. This led to a £15 million P/A contract with Tesco PLC and a further £11 million P/A contract with Nestle, proving our approach works. 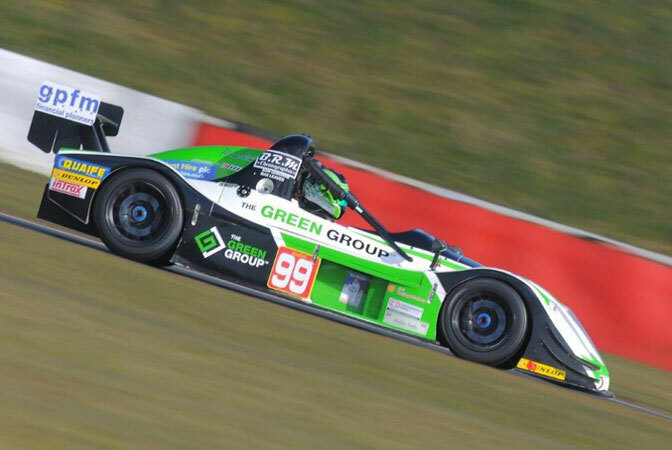 We have taken The Green Group into Europe through our involvement with the Radical European Championship. Our aim here was to introduce and network, it succeeded and The Green Group is now a force in the European Logistics industry. There are numerous other marketing successes having conceptualised, planned and delivered fabulous strategy to our partners. 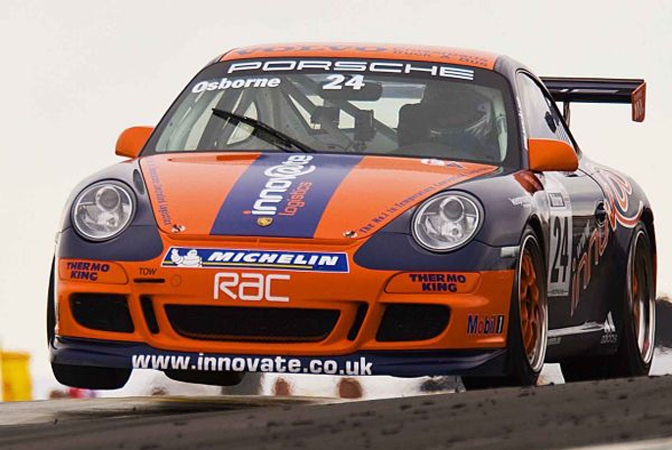 In 2006/2007 we competed in the Porsche Carrera Cup netting some wonderful results and £26 million worth of new business for our logistics partner. A great success. From 2010 through to 2014 we competed throughout Europe delivering our partners brand, entertaining contacts and selling the company and its services. A great success. 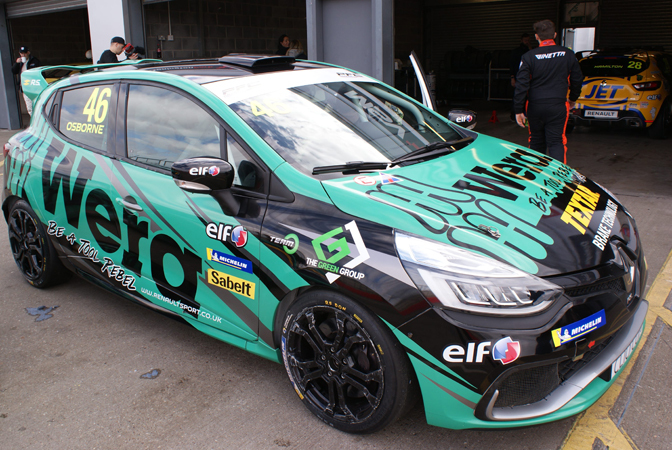 With Sam O at the helm we moved back onto the British Touring Car package at the request of our partners at Wera Tools UK, this is an exciting campaign for 2018 and beyond. 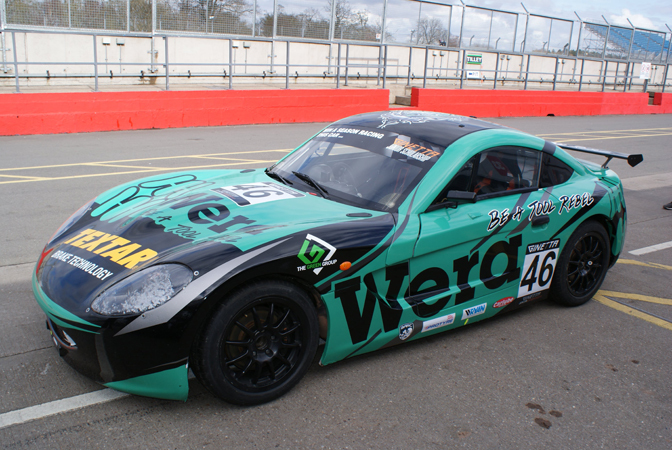 The wonderful Ginetta Junior championship, a real crowd pleaser as the 14 to 17 year old fight it out, this year will be Jamie O’s first season and Wera Tools have partnered us in this venture. The elder of the O’s and the most accomplished having raced in a number of high profile disciplines, including the Porsche Carrera Cup. 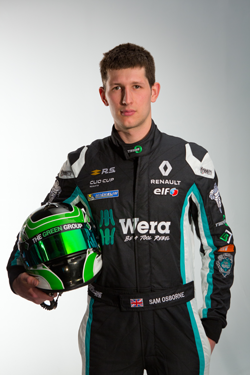 Following his father as a driver, Sam has now established himself as a front runner in saloon cars and is now racing in the Renault Clio Cup. 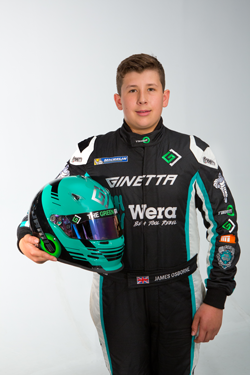 Not content sitting on the side lines watching both his Father and Brother race Jamie has been given the opportunity at 14 yrs old to race in the Ginetta Junior Championship.